Резюме. Высокая восприимчивость к инфекциям иммунокомпрометированных пациентов (в частности реципиентов при пересадке органов), обусловлена уязвимостью иммунной системы таких лиц к факторам внешней и внутренней среды, что требует формирования специальных подходов в лабораторной диагностике, основанной на глубоком и всестороннем понимании специфики вирусных инфекций у такой популяции пациентов. В рамках данной работы рассмотрены современные представления о течении инфекций, и, в частности, инфекции цитомегаловирусной природы у пациентов с пониженным иммунитетом, и даны объективные ориентиры для лабораторной диагностики этой инфекции. иммунокомпрометированные пациенты, вирусные инфекции, цитомегаловирус (CMV), лабораторная диагностика. 1. Baldanti F., Lilleri D., Gerna G. Human cytomegalovirus load measurement and its applications for pre-emptive therapy in patients undergoing hematopoietic stem cell transplantation. Hematol. Oncol., 2008, vol. 26 (3), pp. 123–130. 2. Boeckh M., Ljungman P. How we treat cytomegalovirus in hematopoietic cell transplant recipients. Blood., 2009, vol. 113 (23), pp. 5711–5719. 3. Fishman J.A., Rubin R.H. Infection in organ-transplant recipients. N. Engl. J. Med., 1998, vol. 338 (24), pp. 1741–1751. 4. Gerna G., Baldanti F., Lilleri D., Parea M., Torsellini M., Castiglioni B., Vitulo P., Pellegrini C., Viganò M., Grossi P., Revello M.G. Human cytomegalovirus pp67 mRNAemia versus pp65 antigenemia for guiding preemptive therapy in heart and lung transplant recipients: a prospective, randomized, controlled, open-label trial. Transplantation, 2003, vol. 15;75 (7), pp. 1012–1019. 5. Griffiths P., Whitley R., Snydman D.R., Singh N., Boeckh M.; International Herpes Management Forum. Contemporary management of cytomegalovirus infection in transplant recipients: guidelines from an IHMF workshop, 2007. Herpes, 2008, vol. 15 (1), pp. 4–12. 6. Koidl C., Bozic M., Marth E., Kessler H.H. Detection of CMV DNA: is EDTA whole blood superior to EDTA plasma? J. Virol. Methods, 2008, vol. 154 (1–2), pp. 210–212. 7. Kotton C.N., Kumar D., Caliendo A.M., Asberg A., Chou S., Snydman D.R., Allen U., Humar A.; Transplantation Society International CMV Consensus Group. International consensus guidelines on the management of cytomegalovirus in solid organ transplantation. Transplantation, 2010, vol. 89 (7), pp. 779–795. 8. Limaye A.P., Corey L., Koelle D.M., Davis C.L., Boeckh M. Emergence of ganciclovir-resistant cytomegalovirus disease among recipients of solid-organ transplants. Lancet, 2000, vol. 356 (9230), pp. 645–649. 9. Linden P.K. Approach to the immunocompromised host with infection in the intensive care unit. Infect. Dis. Clin. North Am., 2009, vol. 23 (3), pp. 535–556. 10. Mañez R., St George K., Linden P., Martin M., Kusne S., Grossi P., Ho M., Rinaldo C. Diagnosis of cytomegalovirus infections by shell vial assay and conventional cell culture during antiviral prophylaxis. J. Clin. Microbiol., 1994, vol. 32 (11), pp. 2655–2659. 11. Paya C., Humar A., Dominguez E., Washburn K., Blumberg E., Alexander B., Freeman R., Heaton N., Pescovitz M.D. ; Valganciclovir Solid Organ Transplant Study Group. Efficacy and safety of valganciclovir vs. oral ganciclovir for prevention of cytomegalovirus disease in solid organ transplant recipients. Am. J. Transplant., 2004, vol. 4 (4), pp. 611–620. 12. Razonable R.R., Emery V.C. ; 11th Annual Meeting of the IHMF [International Herpes Management Forum]. Management of CMV infection and disease in transplant patients. 27–29 February 2004. Herpes, 2004, vol. 11 (3), pp. 77–86. 13. Razonable R.R. Epidemiology of cytomegalovirus disease in solid organ and hematopoietic stem cell transplant recipients. Am. J. Health Syst. Pharm., 2005, vol. 15;62 (8 suppl. 1), pp. S7–13. 14. Riise G.C., Andersson R., Bergström T., Lundmark A., Nilsson F.N., Olofsson S. Quantification of cytomegalovirus DNA in BAL fluid: a longitudinal study in lung transplant recipients. Chest, 2000, vol. 118 (6), pp. 1653–1660. 15. Seed C.R., Piscitelli L.M., Maine G.T., Lazzarotto T., Doherty K., Stricker R., Stricker R., Iriarte B., Patel C. Validation of an automated immunoglobulin G-only cytomegalovirus (CMV) antibody screening assay and an assessment of the risk of transfusion transmitted CMV from seronegative blood. Transfusion, 2009, vol. 49 (1), pp. 134–145. 16. Tang W., Elmore S.H., Fan H., Thorne L.B., Gulley M.L. Cytomegalovirus DNA measurement in blood and plasma using Roche LightCycler CMV quantification reagents. Diagn. Mol. 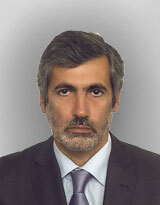 Pathol., 2008, vol. 17 (3), pp. 166–173. 17. Weber B., Fall E.M., Berger A., Doerr H.W. Screening of blood donors for human cytomegalovirus [HCMV] IgG antibody with an enzyme immunoassay using recombinant antigens. J. Clin. Virol., 1999, vol. 14 (3), pp. 173–181. 18. Westall G.P., Michaelides A., Williams T.J., Snell G.I., Kotsimbos T.C. Human cytomegalovirus load in plasma and bronchoalveolar lavage fluid: a longitudinal study of lung transplant recipients. J. Infect. Dis., 2004, vol. 190 (6), pp. 1076–1083.